Thanks to the constant distraction of podcasting, and the specific demands of getting new Martian Manhunter podcasts onto this blog every few weeks, I've managed to go over a month without a new member of the J'Onzz Family Portrait appearing. 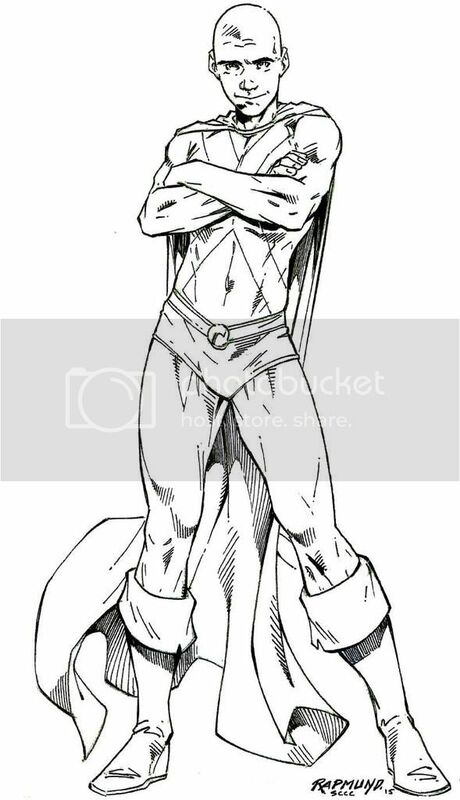 Who better to set the T'hanksgiving D'inner than “Mother” J'onzz, the Silver Age domestic later rendered as "Sha'sheen?" 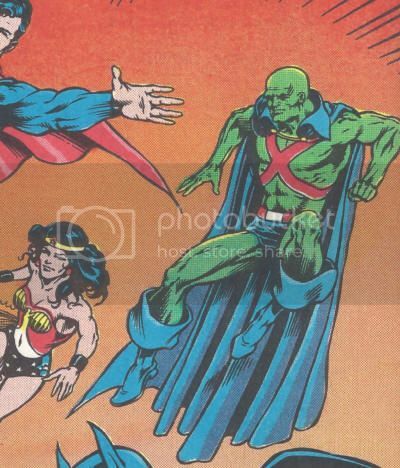 The post-Zero Hour, pre-Flashpoint incarnation of J'onn's mom was herself a Manhunter from Mars who wore an outfit near identical to her son's, which struck me as boring and lacking individuality. 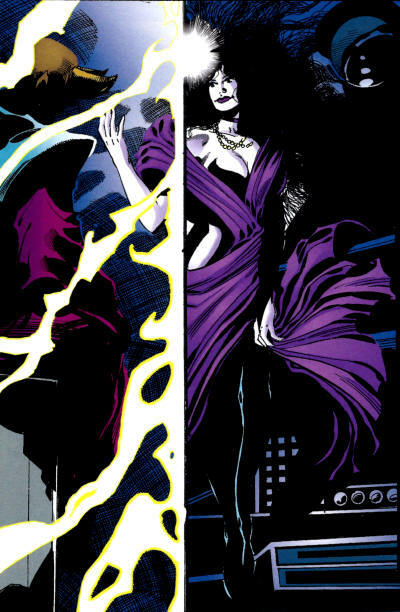 The unnamed materfamilias appeared thrice in the old Detective Comics strip, once in the early days with a bald head in a sort of formalized muumuu, and years later in the version you see here. I prefer this sort of austere pilgrim look to the Groening overbite original version, especially the lavender hair, which would also turn up on Bel Juz. 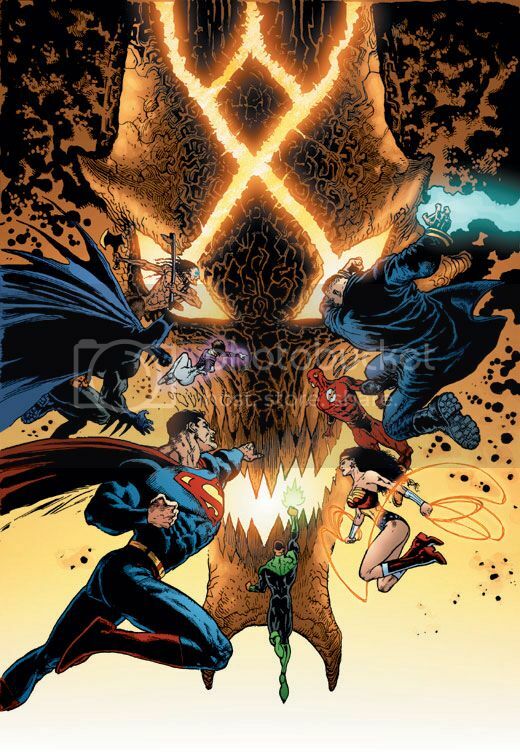 I had considered Wildstorm and DC artist Ryan Benjamin for several members of the J'onzzes, including M'yri'ah and M'yrnn, but as other artists took precedence the selection was made by default. 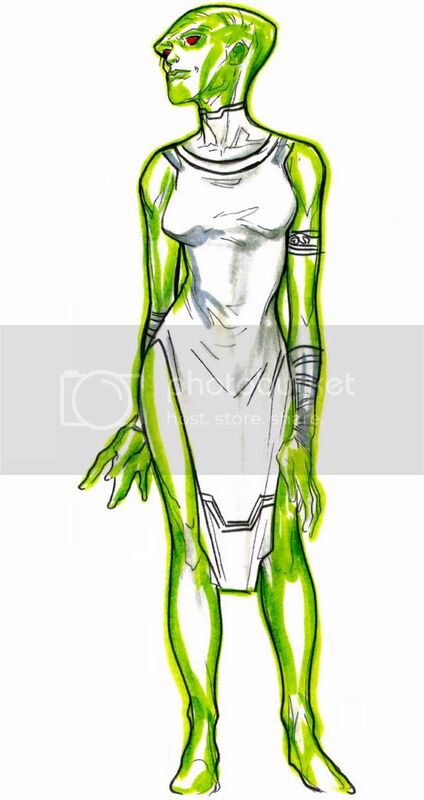 I'd previously enjoyed Benjamin's work on WildC.A.T.s and Grifter, plus his more recent cover work, and figured he'd be a good fit for any of the alien Martians, but especially a female. I actually caught the artist toward the end of his stint at the convention (can't recall if it was Saturday or Sunday) and he was drawing a large, very detailed Bane on his table mat as a going away present (after having already done an attractive Harley Quinn.) I stood around for a long while, watching the artist work. 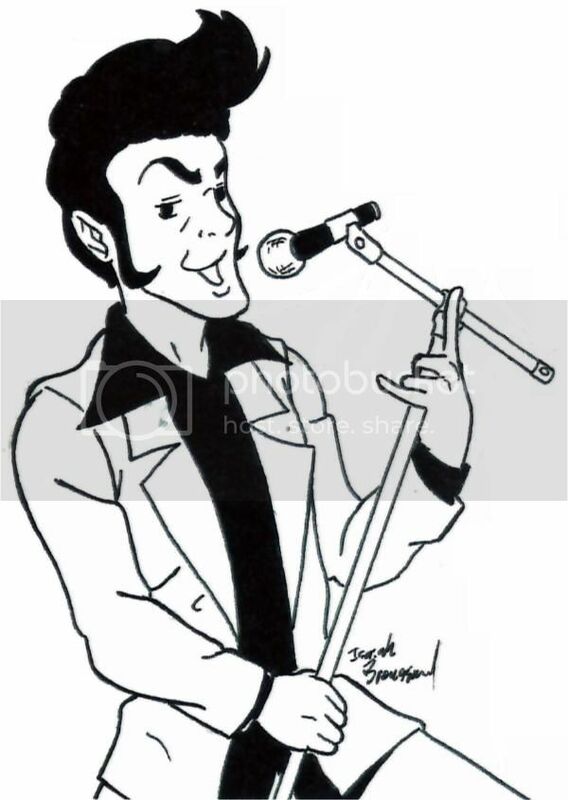 Once I finally attracted his attention, he offered to do a ten minute sketch of Sha'sheen for $80. As he settled into the drawing using my waist up reference, Benjamin asked me a lot of questions about the character's costume details, especially those left unseen. 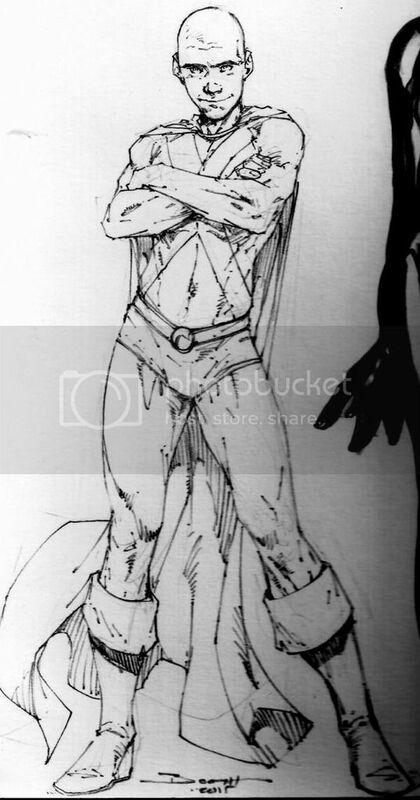 I frankly didn't have many answers for him, since to my recollection Mother J'onzz was never drawn below the waist in this costume, and I ultimately regretted frustrating the artist by not asking for one of the character's other two designs. Truth to tell, I have no great interest in Sha'sheen, which played into her late, obligatory, and cramped inclusion in the jam piece. 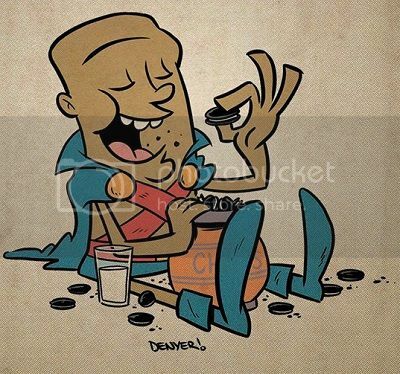 I think the artist sensed my lack of enthusiasm and inability to articulate much of interest about the character. Obviously, there's a lot missing from view in this scan, as Sha'sheen is interacting with two other members of the family I'm saving for later. 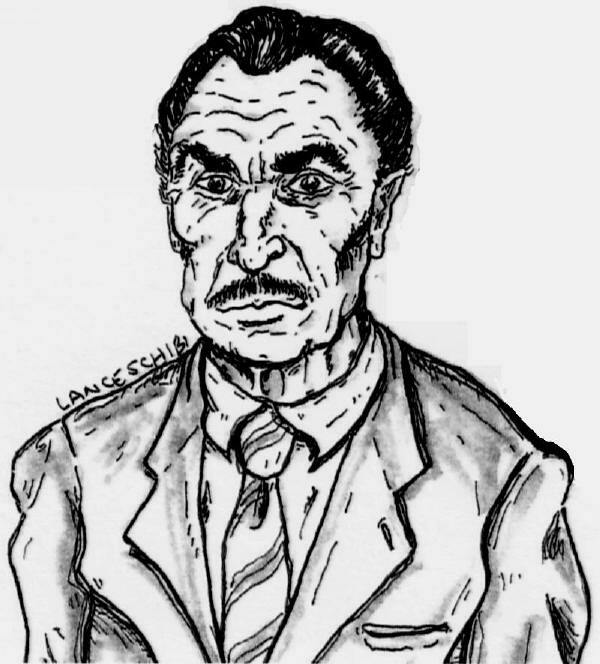 Also, I had another artist add graytones to this figure to better integrate it into the overall piece. 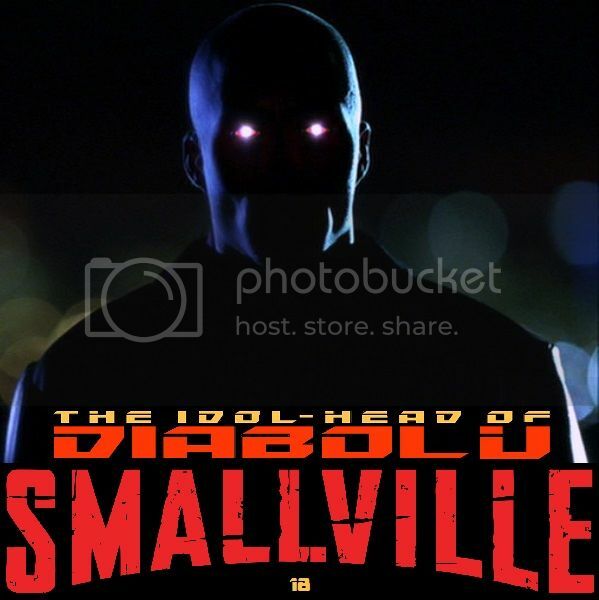 Beginning this episode: an irregular series of shows covering appearances by the Sleuth from Outer Space on the WB/CW's long-lived Superboy Clark Kent developing into Superman TV show Smallville. 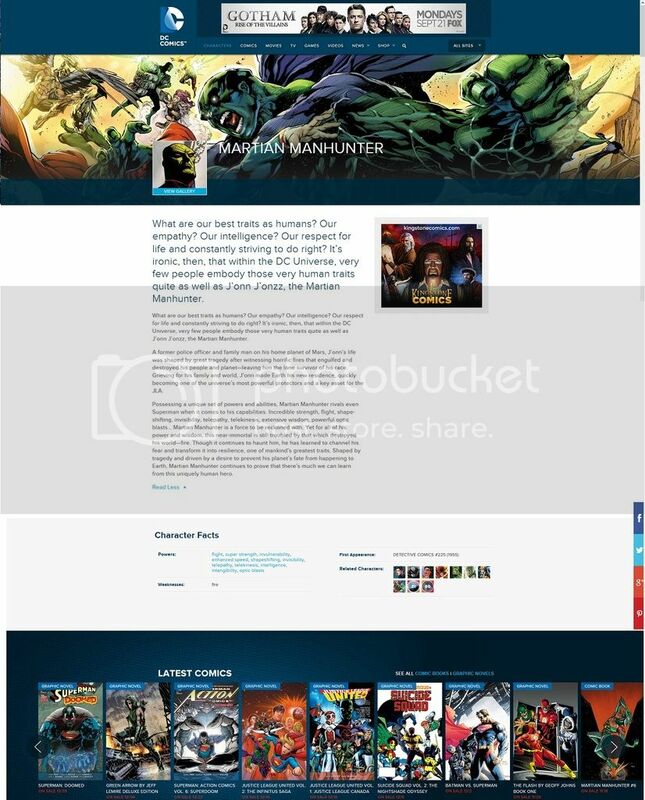 This initial installment looks briefly at the show's formative development, then summarizes John Jones' cameo debut in the sixth season episode "Static," followed by the launch of the Martian-less not quite a "Justice" League, and finally the full debut of the Manhunter as portrayed by Phil Morris in "Labyrinth." Frank summarizes and critiques the fourth issue of the New 52/DC You Martian Manhunter series by Rob Williams and Eddy Barrows! Also, a deeper, angrier critique of the series and look at sales, plus a brief look at the Supergirl pilot. 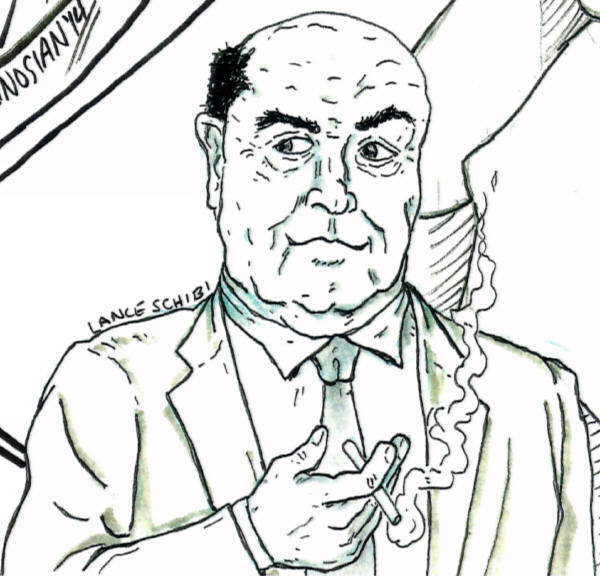 If I recall correctly, my enjoyment of Carlo Barberi's work predated his professional career, when I first noted his fan art. 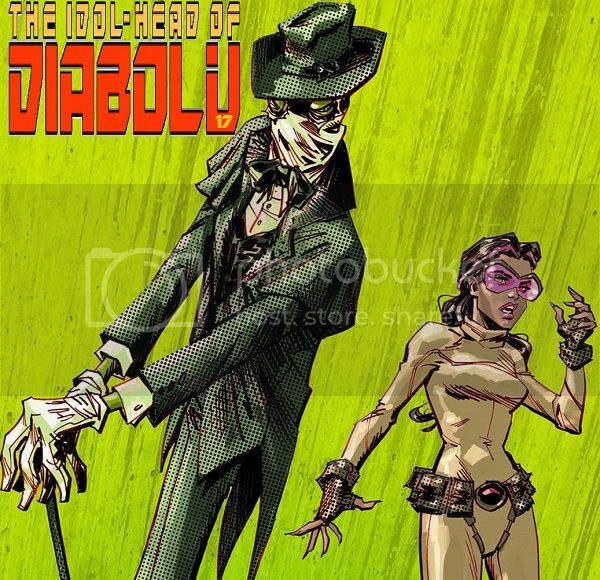 From there, he continued a legacy of high quality cartooning begun by Humberto Ramos on Impulse, facing the unenviable task of replacing Ethan Van Sciver and staying with the book for the rest of its run. He went on to notable stints on Deadpool, Gen13 (with Gail Simone,) and Ultimate Comics X-Men (with Nick Spencer & Brian Wood,) as well as various brief spots with Spider-Man and my personal favorite, the Batman: Orphans micro-series. 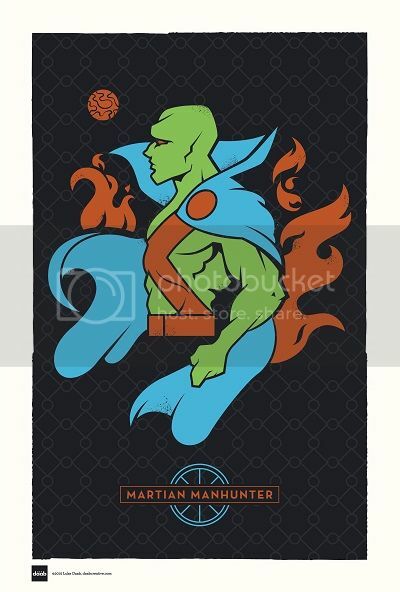 Barberi first drew the Martian Manhunter in adorable form for Sins of Youth, then in the animated "Timmverse" fashion as regular artist on the Justice League Unlimited comic adaptation. 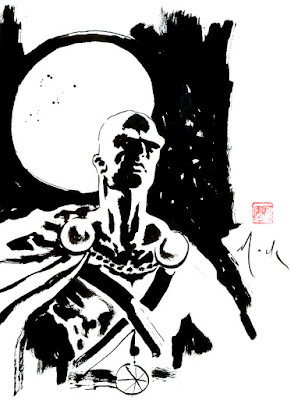 After Brett Booth established the scale and quality bar with T'omm J'onzz (still only penciled at this stage of the project) and Ken Lashley maintained it with M'yri'ah J'onzz, it was time to form the centerpiece character, J'onn J'onzz. I wanted this take to be as close to ideal as possible, capturing a contented Alien Atlas in the midst of his family. 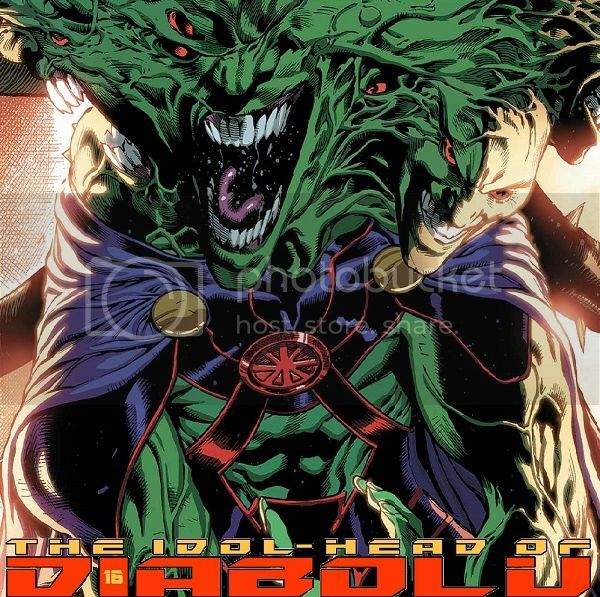 I was confident Carlo Barberi was the best choice for the joyful J'Onn of my heart and in my head for this jam effort. 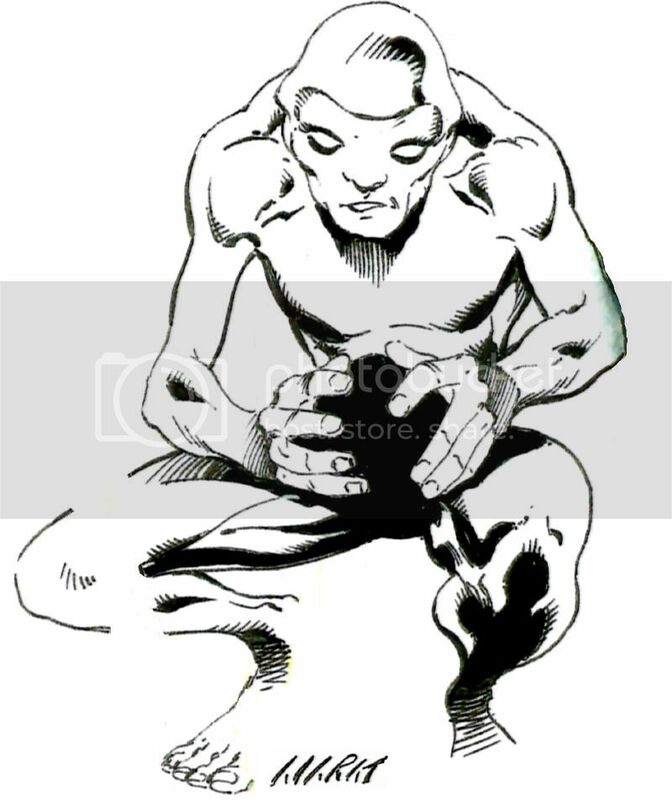 The main figure stands nearly 11" on the page, so he's quite a bit grander in scale than this scan represents. I'm afraid the small scale of this scan reduces your ability to spot the finer details of Barberi's work, and also adulteration in the scan causes it to be overly contrasted and appear rougher in the tones than on the physical art. 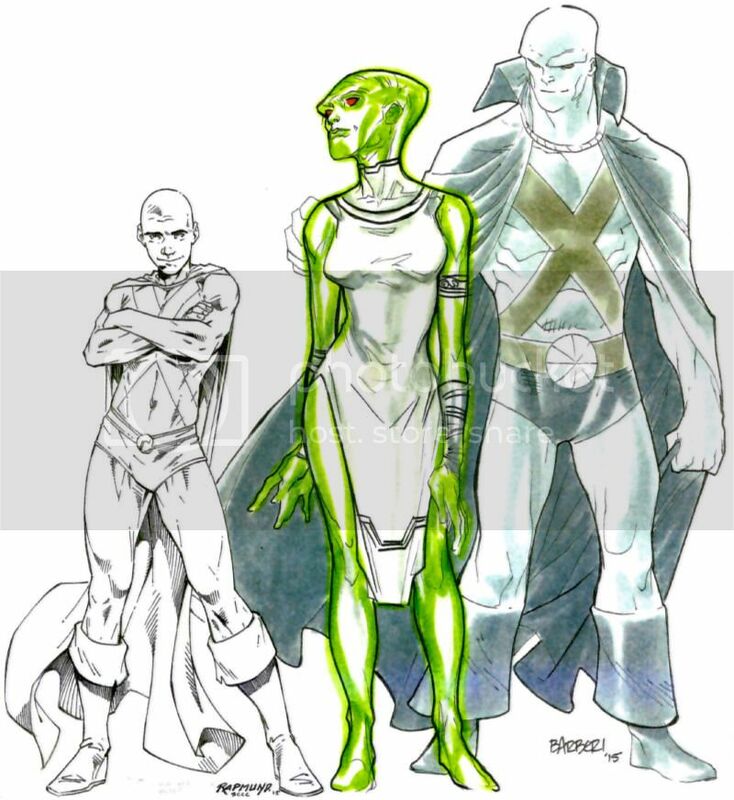 However, Barberi did such a great job of incorporating J'Onn into the presence of the previous pieces of his wife and kid brother that I wanted to focus on that. I love the slightly cocked beetle-brow, the soft smile, the curve of the collar and drape of the cape. 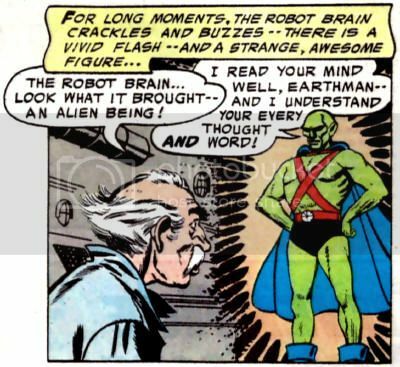 Barberi is wonderfully on model for the Martian Marvel of my childhood with his body posture and specifics like the "pie" symbol belt buckle. 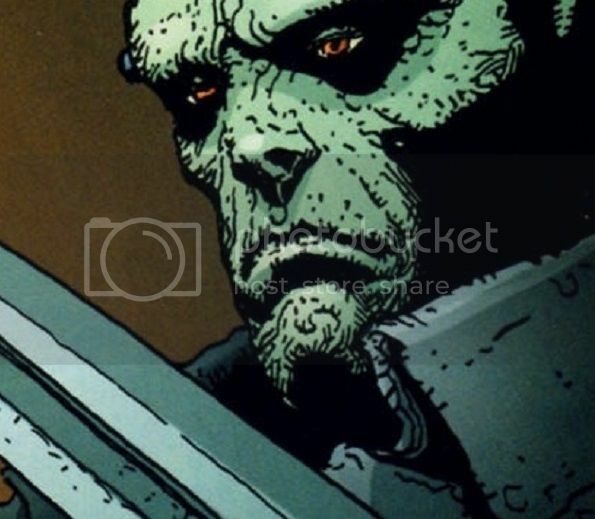 J'onn holds M'yri'ah's shoulder, and his expression is both loving and slightly curious about his bride's distracted glance away toward T'omm. That's an element we got to build upon further down the line. Did I say that I was going to run a J'Onn J'Onzz commission every day late last week, one from each year leading up to the anniversary? What I meant to say was that I'm very, very tired from working on the 60th podcast and it'll be a week from the day of my last post. 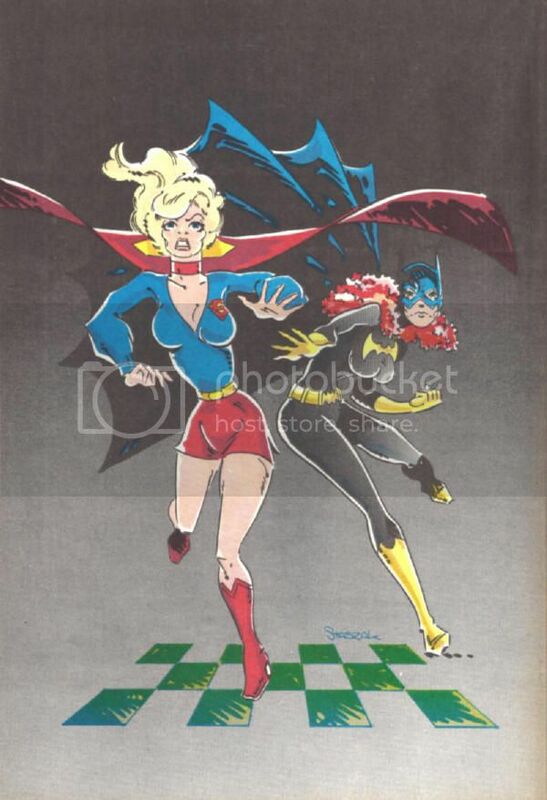 Pat Broderick was one of the first comic book artists that I was exposed to, thanks to my uncle having been a fan and having left and/or given me a bunch of 1970s comics associated with a mutual favorite, Jim Starlin. For instance, I at least got to read Starlin's Captain Marvel issues, and I recall having some copies of his successors' issues around the house, including some by Broderick and Al Milgrom. However, unlike with Starlin, there was a huge gap in time between inheriting those comics and having access to any more work by Broderick, which meant waiting until 1987 for my next major fix. 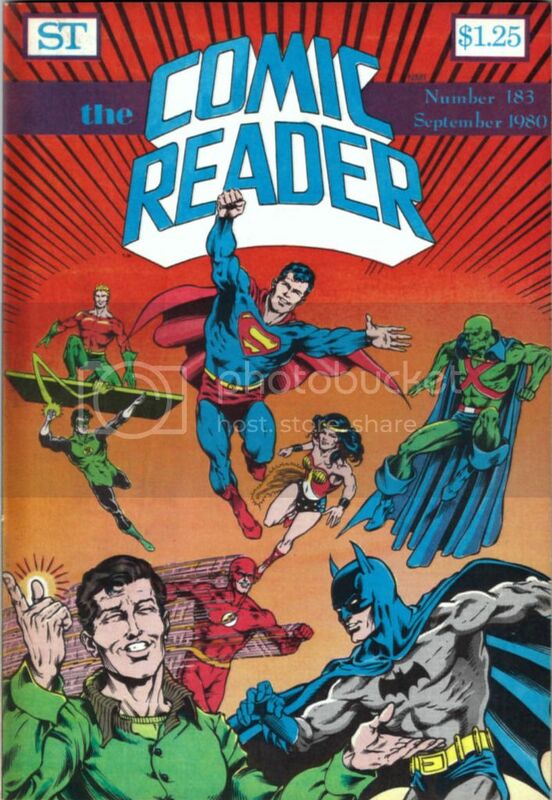 The title was Captain Atom, which I totally bought into from the first issue I could get my hands on until I stopped finding it on the newsstand a few months later. Regardless, I loved Broderick's style and was always happy to see him turn up on later books. 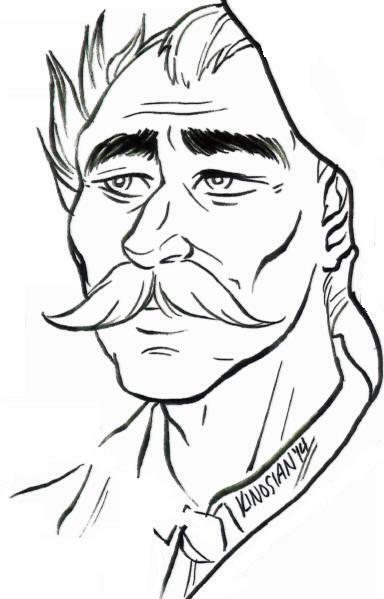 I finally got to meet him and his wife last year, found them to be pleasant folks, and picked up three sketches. I'd recommend anyone do the same, since they're quality, affordable, and quickly turned around, exactly what you want from a convention commission. 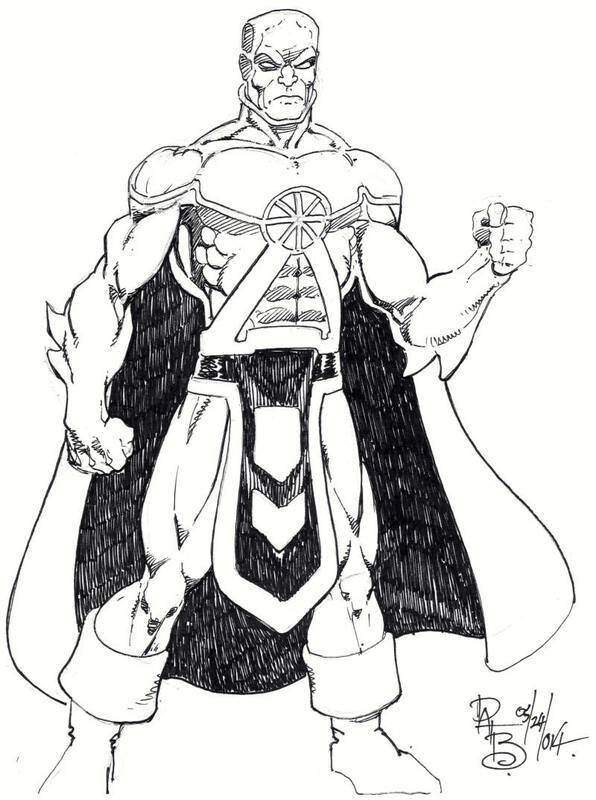 I can't recall if this was the first or second piece I got that year, but the idea was to have the modern New 52 version of the Manhunter from Mars strike the earliest pose anyone would consider "iconic" for a relatively minor super-hero property. 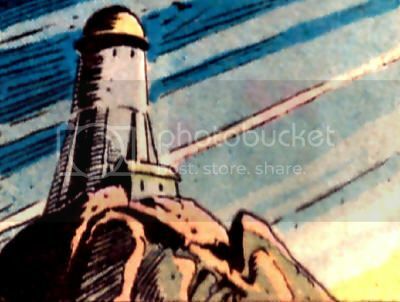 All the way in the beginning, Detective Comics #225, Joe Certa drew a couple of shots of the Alien Atlas that were memorable enough to be homaged by later artists and even repurposed for a cover element on 1961's giant Secret Origins #1 which was later redrawn by Jerry Ordway for a 1998 replica edition. I didn't communicate the intention to carry on that tradition well enough though, so the result was closer to other pieces I've had done that were more akin to Official Handbook of the Marvel Universe entries of full figure reference shots. 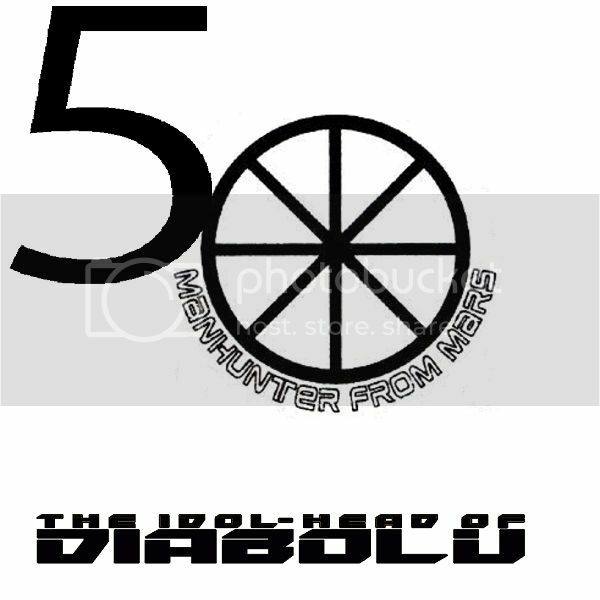 I still dig the piece though, especially the contemporary Manhunter design reinterpreted in the Bronze Age style I and many of my generation tend to favor as the flavor we were reared under. 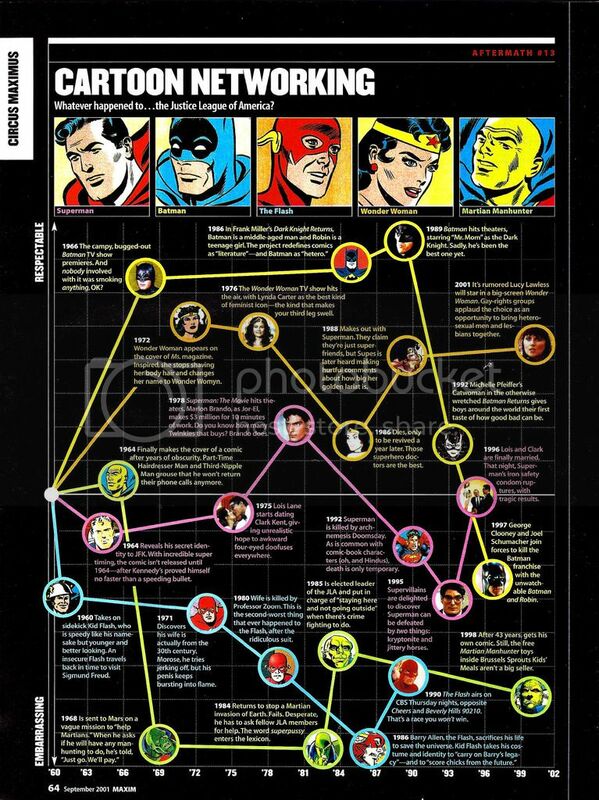 As I've said repeatedly, I'm a fan and defender of Jim Lee's New 52 redesign, and feel the Sleuth from Outer Space has long needed a visual overhaul. 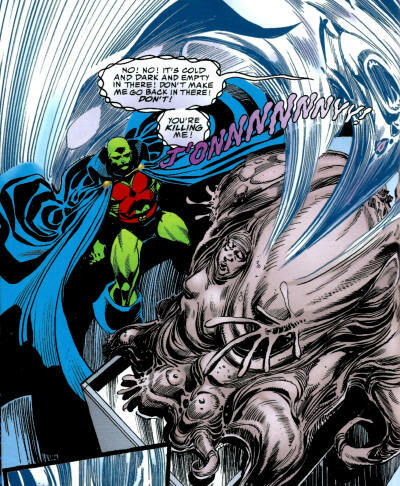 That said, I still very much wish DC would allow the color scheme to revert back to shades of dark blue, as was seen in several of Martian Manhunter's early appearances in the current continuity. 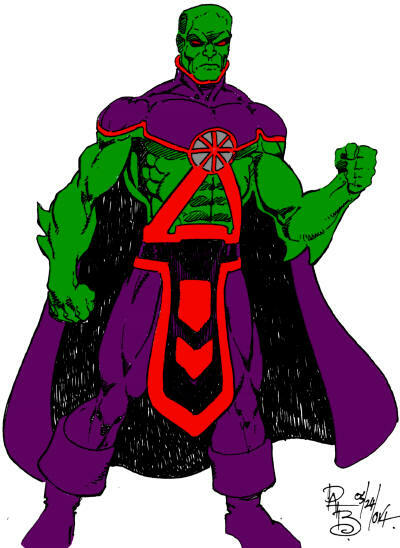 Once you color the suit purple, he starts to look rather derivative, and when you do it in old school flat colors by a period artist, it becomes really obvious that the Martian Marvel is in fact nigh identical to the version of Drax the Destroyer created by Starlin and later drawn by Broderick. Still, purple is a complimentary color, and Drax decided to become Riddick before making the leap to a highly lucrative major motion picture debut, so I can live with fly hand-me-downs no one else is using. Heck, even Hulk stopped sporting eggplant jeans ages ago.